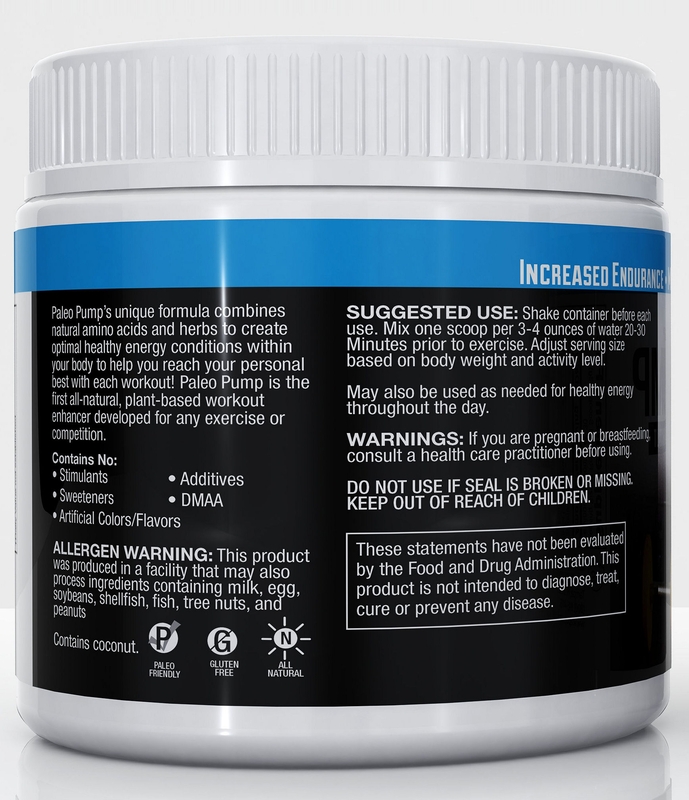 Worlds First All Natural Pre-Workout Powder! 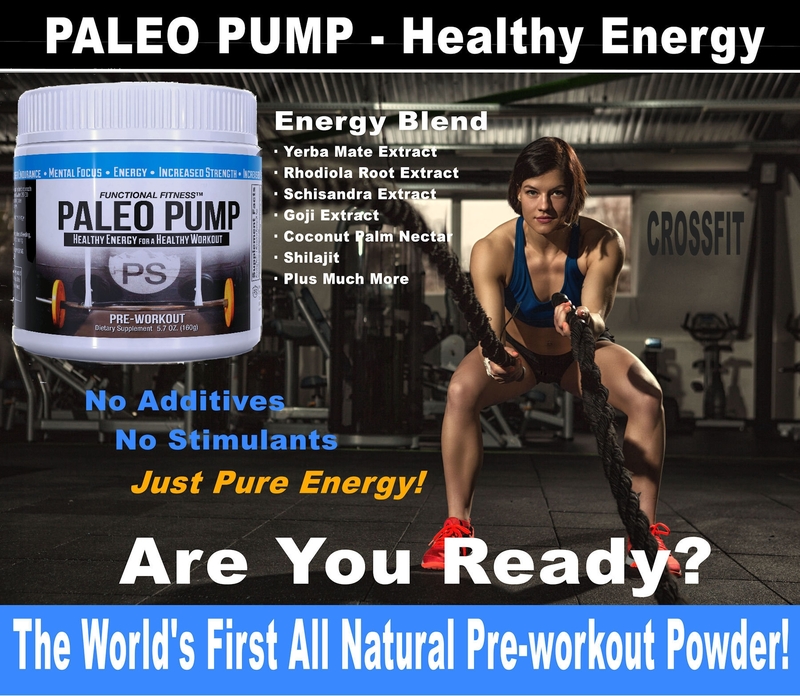 #1 Rated PALEO PUMP All Natural Pre-Workout Powder | 1700mg Proprietary Energy Blend | 30 Servings Per Container | Natural Flavor | 5.7 oz Jar | Free Shipping! 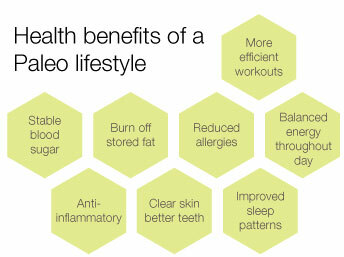 Perfect For A Paleo Lifestyle! The first Paleo pre-workout formula to hit the market designed to improve blood flow and circulation to the muscles for increased power and endurance. For the Paleo cross-fit workout or anyone looking for an all-natural pre-workout product. Totally plant-based and all-natural, Paleo Pump helps create optimal energy conditions before workouts! Because Paleo Pump is all-natural and plant-based, it is paleo diet-friendly and is the first “all natural” workout powder of its kind. 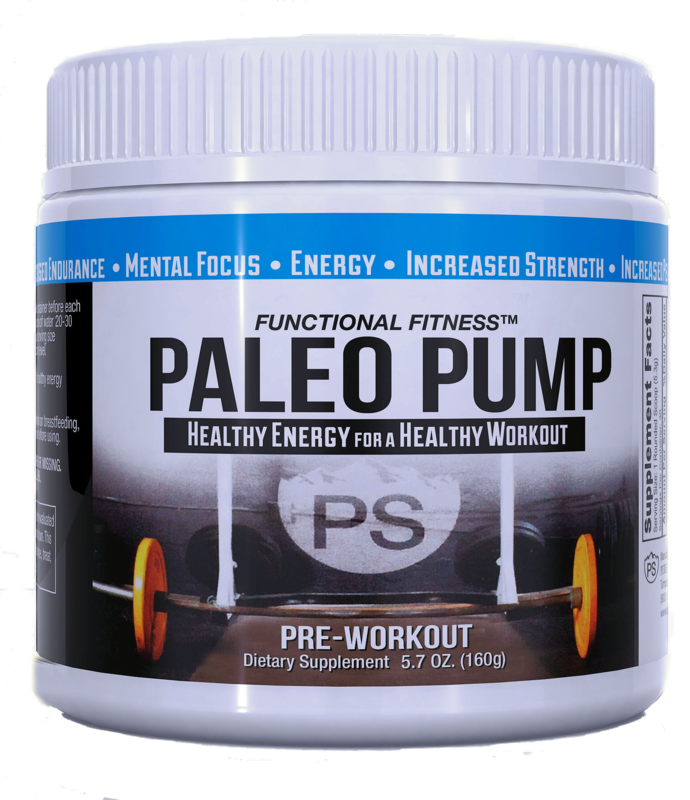 Paleo Pump from Pure Solutions is packed with vitamins B1, B2, B6, and B12, and can be used as a healthy energy boost throughout your day! 100% whole food ingredients, no synthesized vitamins, and no flavoring added! 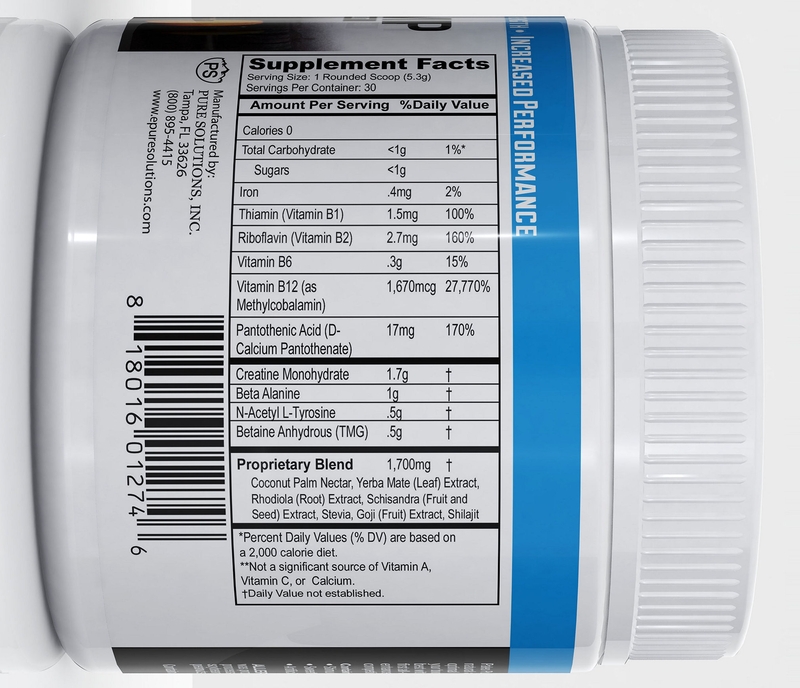 Contains Yerba mate', Creatine, Betaine, Beta-alanine and a proprietary herbal blend. Manufactured in a GMP certified facility here in the USA! 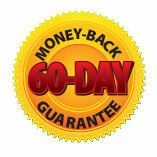 90-Day Risk Free Money Back Guarantee. 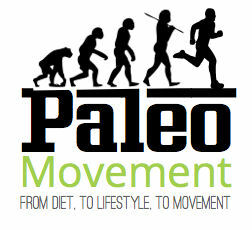 Free Shipping on all U.S. PALEO Orders!! YOU CAN TRUST THE HERBAL NUTRITION BRAND! Our goal is to help people improve the quality of their lives, by providing nutritional supplements that will benefit their health and athletic performance. We developed the Herbal Nutrition Brand to deliver only the highest quality supplements and have helped thousands of people achieve their goals for more than a decade! Our commitment to our customers is to provide only the highest quality supplements and exactly what is on the label of our products! All our products are GMP manufactured and tested for authentication. Herbal Nutrition Quality 100% Guaranteed! Other Ingredients: Contains coconut. Produced in a facility that may also process ingredients containing milk, egg, soybeans, shellfish, fish, tree nuts and peanuts. Adults: Shake container before each use. Mix one scoop per 3 to 4 ounces of water 20 to 30 minutes prior to exercise. Adjust serving size based on body weight and activity level. May also be used as needed for healthy energy throughout the day. I was recommended this pre-workout by a friend. I bought it because it is all natural. I care about what I put in my body. It gives me the energy to get up and go after a long hard day at work! You definitely get the pump without the jitters and I feel like I can workout forever. I definitely, recommend this product. This is a great product. It really gives me that extra kick and helps motivate me to workout. 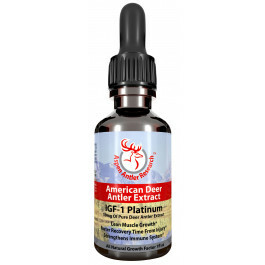 I like the all natural aspect of this product as it part of my overall health regiment. Gives me energy and focus! Gives me focus and energy w/o the added junk that most supplement companies think they need to add that can be detrimental to ones health. So give it try and see that's all you need. I've only used it three times as of this review. I love that this fits my lifestyle and diet preferences. It gives me great energy and, honestly, I don't mind the flavor at all. Good, pump, little shaky affect. :) But I like that. I like to mix mine with lemon juice and a little bit of stevia and it actually makes it taste good!! Good preworkout and a lot safer than other brands works just as good. Works as good as other pre-workout products I've tried, but doesn't overdo it like some (Jack3d and C4 to name a couple). It doesn't taste very good, but I mix it with juice and slam it while trying not to taste it. It's not horrible....it's sweet-ish....sort of like stevia mixed with....I don't know what. Felt the effects about 20 minutes after taking. 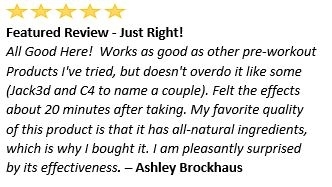 My favorite quality of this product is that it has all natural ingredients, which is why I bought it. I am pleasantly surprised by its effectiveness. You will earn 35 Reward Points Toward Free Product for purchasing this product.